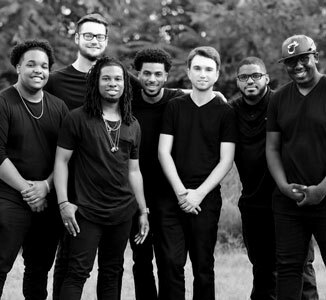 The newest addition to the Richmond, Virginia music scene, Future Prospect features a septet of the area’s finest and youngest musicians. Their music, rooted in the jazz tradition, is fused and intertwined with funk, R&B and hip hop, creating a balanced blend of flavor, high energy, and soulfulness. With appearances across the DMV area including the Richmond Jazz Festival, the Shenandoah Wine and Jazz Festival, and Washington D.C.’s Twins Jazz Club, the band promotes a sound that can be heard by all ages, and encourages a lively environment that invokes dancing and the occasional sing-a-long.